On December 12, 1997, Nigerian musician, Yinka Ayefele, was involved in an automobile accident, which damaged his spinal cord and confined him to the wheelchair. The tragedy later became a watershed that transformed his life. In this interview with PREMIUM TIMES, theGospel “Tungba” crooner speaks about that turning point in his career as well as adjusting to life as a physically challenged singer. PT: Exactly 20 years ago you were involved in an accident thatliterally turned your life around. What is your reflection these passing years? 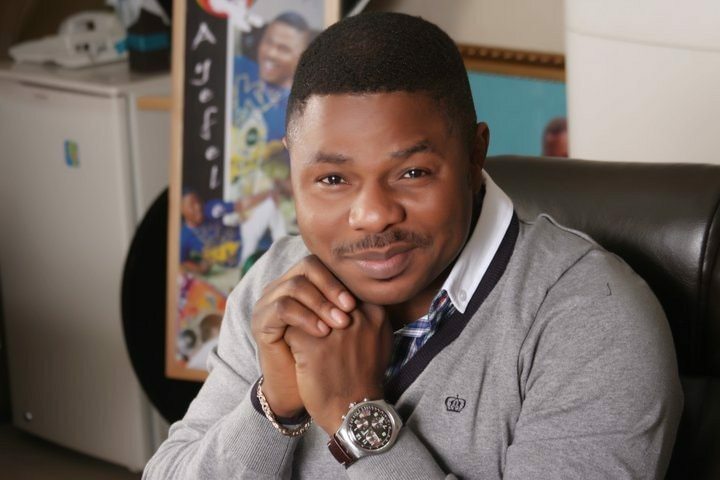 AYEFELE: First and foremost, I give God the glory for sparing my life. What I usually recall whenever I remember that accident that almost took my life is that the spinal cord means a lot to every human being. Also, the accident has further helped me realise how important our spinal cord is; each time I remember the pains I am going through, I reflect on the importance of the spinal cord at all times. PT: As you laid on the hospital bed two weeks after the accident, what thoughts occupied your mind? AYEFELE: I thought I would be discharged soon but when I realised I had a spinal cord injury; I was a bit confused because I did not really know much about the spinal cord and its value in human lives. So when I was told that I might be confined to a wheel chair for life, I thought I was going to die. I eventually I made up my mind and told God that I want to live and I will still walk again. On the day the accident occurred, over 40 of us were rushed to the Neurological Department of the University Teaching Hospital, Ibadan, at that same time. Virtually all of them died, I was the only survivor. I thought it was going to be the end for me but God is indeed awesome. PT: How will you describe the experience of being able to walk on your feet before and now being confined to a wheelchair for 20 years? AYEFELE: I can tell you authoritatively that being able to stand on your feet is far better than being confined to a wheelchair because you are not restricted. The pains and the restriction alone are cumbersome. When you want to get something done you cannot do it if there is no assistance. But if you are on your feet despite being cash-strapped, you can still run around and get things done. PT: Do you think you have been favoured because you are a physically-challenged artiste? AYEFELE: I don’t think so. When I released my first album, Bitter Experience, a lot of people said I was patronised because of my condition. Then I released my second album and it was widely accepted. I have dropped over five albums ever since. Will you also say that those records were bought based on sympathy? No it only takes the favour of God. There is nothing special about me; I only see the favour of God. Yes there are so many musicians that cut across all genres and they are making it yet they are not on wheelchair; you can see that they are also favoured. The irony of life is that fact that there are some people who don’t like the Ayefele brand and when you ask them why, they say ‘ Yinka did not offend but I just don’t like him’. PT: Do you have moments when you forget about the pains and just feel like standing up? AYEFELE: Several times, I will want to jump out of the wheel chair; especially whenever I am on stage. Every minute, I wish I could stand up because most times I make moves that require me to stand up and move my legs. Most times, I want to show a lot of people that I am still very fit and whenever I see people dancing to my music, I feel like joining them to dance. PT: Some people regard you more as secular artiste and not a gospel artiste. How do you personally classify your genre of music? AYEFELE: First of all, Tungba is my own kind of music and it is the sound of my talking drum. It is my own way of preaching the gospel and if you like believe it or not. I am the only Nigerian gospel artiste with lots of Muslim fans in Nigeria. I have performed in virtually all other churches. PT: How do you feel seeing that Muslims and Christians alike have embraced your music? AYEFELE: I feel so happy because it’s a legacy; I am not bragging but truth remains that I changed the face of gospel music in Nigeria. Also if you listen to Juju music of today, you will realise that they play Yinka Ayefele’s Tungba. My Muslim brother, Ere Asalatu plays like me. The statement, ‘Like Ayefele’ is my pride. PT: As a one-time chorister and instrumentalist of the likes of Wale Thompson, Micho Ade and others, how did the experiences garnered at the time prepare you for your own musical career? AYEFELE: I wouldn’t say it actually prepared me to set up my own band rather; I was just doing my thing then. I loved music from the onset and I can play all musical instruments. I only became a musician by happenstance. If the accident hadn’t occurred I wouldn’t even think along the music line. Although the talent has always been inherent in me, I have all it takes to be a musician. PT: What was your dream profession as a young man? AYEFELE: When I was young, I loved music but I never knew it was going to become my profession. My dad wanted me to become a banker; I worked towards it but it did not materialise. My brothers tried to secure a job for me at many cooperative banks but it did not work out. I think there was an event I attended at the FRCN Ibadan: the Father Christmas. There and then, they discovered that I have a studio voice and right there they gave me a couple of programmes to handle. PT: Can you tell us more about your time as a broadcaster? AYEFELE: I personally honed my music and presentation skills at the FRCN Ibadan. It wasn’t actually an easy task, but thank God that a little opportunity given to me by Babatunde Olaniyi (Ti o Common) eventually turned out to be a career path. I wasn’t actually working for the money; I was working for the fame and passion because I believe after the fame comes money. I presented some programmes on FRCN back then and also, co-presented some. I was producing jingles and at a time I was the leading jingle producer in the country and this exposed me to so many presenters. Most times, I produced the jingles for free so that my voice could be heard. To God be the glory, the rest is history. PT: …and your foray into music? AYEFELE: The first two songs I produced were recorded in a cassette, which was in my custody before I had the accident. After I was involved in the accident, two of my mentors advised that I add more songs and release it. That way it could to be launched at a fundraiser for my treatment abroad. My first album turned me into a musician because I still wanted to remain a broadcaster. The acceptance of my Bitter Experience and Sweet Experience albums encouraged doing music more. PT: Your radio station, Fresh FM, is one of the biggest radio stations in Ibadan. At what point did you conceive the idea of floating a radio station? AYEFELE: I think it was when I was shooting the video of first album ‘Bitter Experience’, I just flashed back and saw the assistance I received from the electronic media during those trying moments. It was then I thought about owning a radio station and I began the s the process about 19 years ago. I never thought my dream of owning a radio station would materialise not until about nine years ago when a friend introduced me to Internet radio. I kicked off my radio station using my Facebook page. My facebook fans began encouraging me because I was the presenter and I started uploading music. I obtained a form from NBC and started the process immediately. After several investigations by the DSS, we kicked-off about two years ago. PT: With all you have achieved, will you say the accident was a blessing in disguise? AYEFELE: I can’t say so because God has a purpose for everyone. It will be funny to hear that some of my friends say that if they can achieve what I have; they don’t mind having an accident too. I am the only one who understands what I am passing through; all they see is Yinka Ayefele on wheelchair making it. I can’t pray to have accident before I make it; it is never possible. PT: What is your relationship like with other upcoming gospel singers? AYEFELE: I encourage them. I want to be a part of a lot of people’s success stories. PT: We have seen you perform at several top politicians event; is politics on the cards for you? AYEFELE: I am invited to perform at events just like every other musician. That does not make me a politician in any form. All politicians are my friends, we support each other, be it APC, PDP or APGA. Just for clarification, I don’t belong to any party. Mrs. Titi Atiku has done a lot for me. I have performed at virtually all the Atiku’s events.